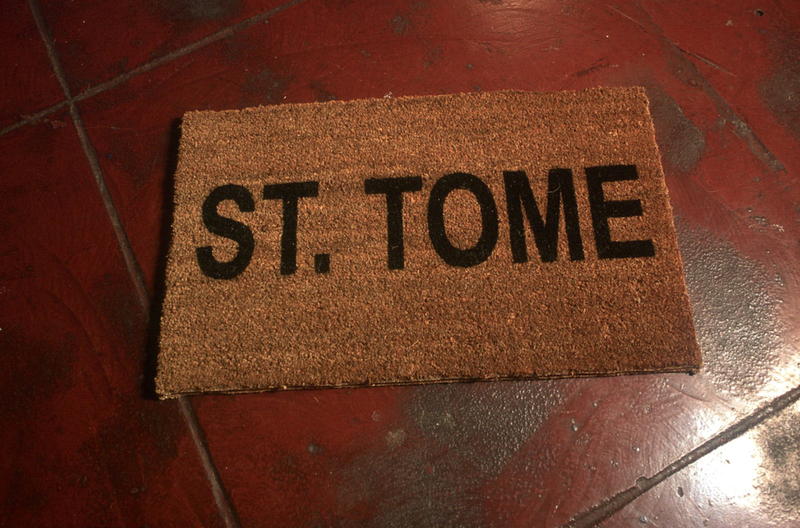 A collection of 12 sisal doormats, commercially printed. Doormats 25"x 18". Installation dimensions variable. These doormats were given away to be used in domestic and institutional settings. As visitors entered these places, they wiped their shoes on the mats, slowly eroding the name of the country. This work infuses a potentially mundane activity with a salient gesture, and implicates the individual through an act of complicity.